My boat Rendova is a Wauquiez Hood 38 MK II. The Wauquiez (pronounced vo-kee-ay) is a French company, building blue water sailing yachts since 1965. Wauquiez is often referred to as the "Swan Boats" of France. Wauquiez has established a strong international following and offers a unique blend of performance and long range cruising capability with outstanding building construction and craftsmanship. 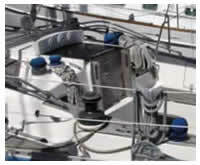 Jack Hornor naval architect/surveyor reviewed the Wauquiez Pretoriean 35 which is a similar but smaller twin to the 38. His review is in the following PDF format more.... 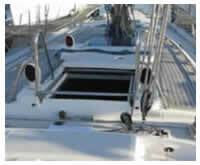 The 38 has a centerboard keel with 4'6" draft, giving her easy access to shallow cruising grounds. With centerboard down you almost have 11 foot draft which makes for a excellent pointing ability. These boats came in two designs. The MK I is European with a submarine hatch forward of the traveler, and offers more interior space. The MK II has the traditional cockpit entry to the cabin and commands a much higher price. Ted Hood is best known worldwide as the man who founded Hood Sailmakers, which during the 1960's and 1970's was the world's largest sailmaker. He was a well known as a successful racing skipper, as the founder of Little Harbor Yachts, and as an innovative marine inventor and yacht designer. 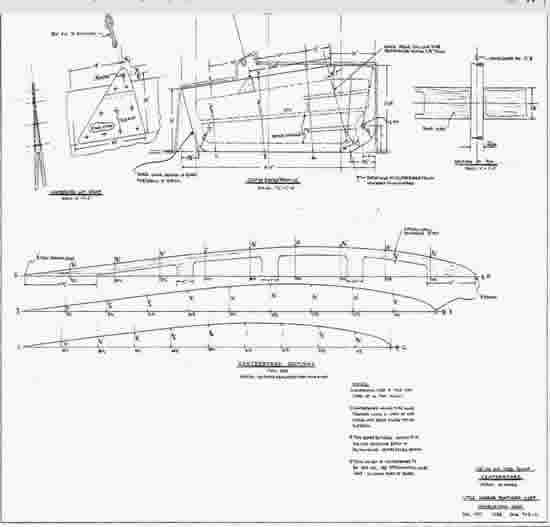 Hood built and skippered a successful series of keel and centerboard racing boats under the names "Robin". The Hood 38 is a reflection of Ted's successful past designs. Ballast 11,000 lbs. lead approx. Mast Height 53 feet approx. Luff = 48'6" Leech 47'8" Foot 25'3"
Luff = 19'4" Leech 14'9" Foot 10'0"
What inspired the boat name? Rendova Island is found in the Solomon Island group (The Slot). My father had been stationed on this island and many other islands in WWII. Rendova’s footnote in history is that it was homebase to PT boat operations, where PT 109 and John F. Kennedy were stationed. Coming full circle, in 1962 at age 12, our family moved and lived aboard a sailboat named Ondongo. We went cruising for two years. Ondongo was another island my father had been stationed on. 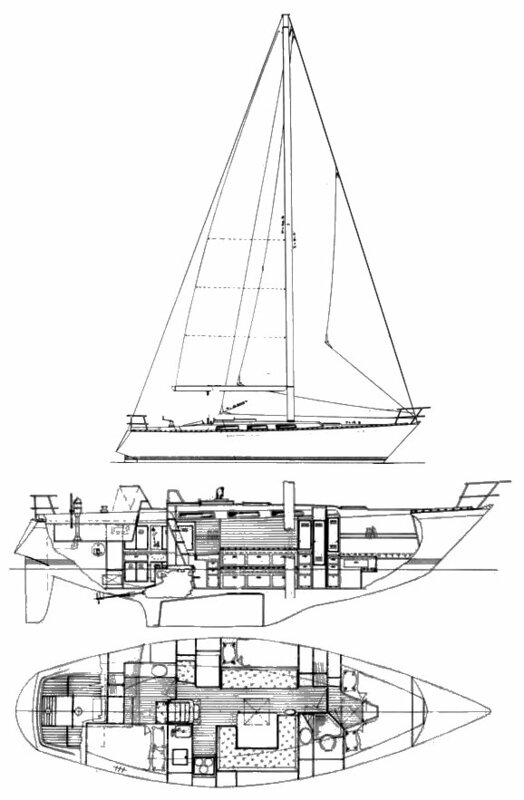 Ondongo was my first big boat and I plan to have Rendova as my last big sailboat.